Between last week’s data releases and the coming week’s interest rate decisions, the market finds itself in the eye of the storm. FXPIG is ready and waiting for the resumption of the tempest. Last week showed how liquidity can dampen volatility but still provide good trading conditions. We saw some major events, but the ranges for the majors were relatively narrow. U.K. data released early in the week pointed to a slowdown in the economy, but in his budget speech on Wednesday, the Chancellor painted a relatively upbeat picture of the economy raising growth and lowering inflation forecasts. We won’t have to wait long for the MPC to give a verdict on his calculations since they meet this Thursday. It is impossible to paint a scenario that points to a rate hike, but there will be some heated discussions about the inflation scenario. The hawks are concerned about the Governor's perceived laissez-faire approach and are looking for a more proactive stance. There is clearly an agreement between the Chancellor and BoE Governor about the headwinds which face the economy once Brexit negotiations start in earnest. There was news over the weekend that the House of Lords is not going to put any significant hurdles in the way of the Government and will vote the bill through on Monday evening. This will give the Prime Minister the green light to trigger Article 50 of the Lisbon accord and give official notice that U.K. intends to leave the European Union. The Hard Brexit Bad Soft Brexit Good tribe will be out in force over the early part of the week, but ultimately the path of Sterling will be determined by the direction of interest rates. 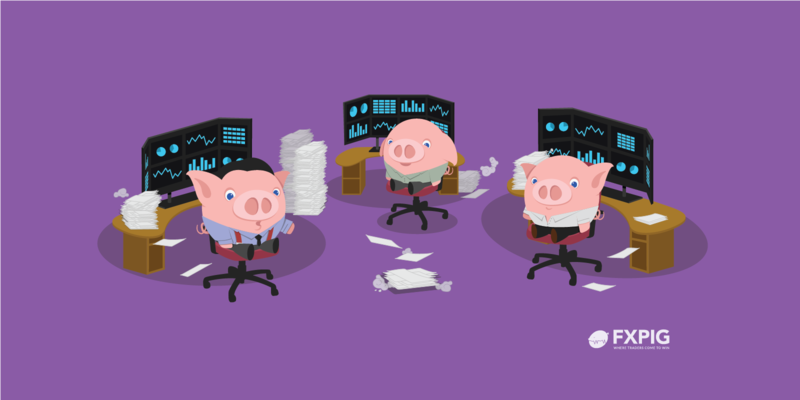 The basement at One FXPIG Tower that we affectionately call ‘the PIG pen,' is a 24/7 source of endless energy, a fuel cell of market analysis and commentary that powers traders worldwide. And this regardless as to whether they are focused on trying to find some direction in the latest central bank announcement, or if they are busy drawing pretty lines on their charts or channeling Fibonacci to see when the market will turn. Friday’s release of the U.S. employment report was the final piece of the rate hike jigsaw that the FOMC has been building recently. Fed. Chair Janet Yellen commented this week, “when the inflation and jobs reports point to sustainable growth in the economy the Fed will hike rates.” Guess what Janet? That time is now, and the FOMC will hike on Wednesday. Yellen’s credibility would fall even further than Donald and his merry men should they fail to act. This week sees rate decisions not just in the U.K. and U.S. but Japan and Switzerland too. The ultra-easy monetary policy of the BoJ and SNB will remain in place for the foreseeable future as the contend with differing issues. In Switzerland, they have adopted negative interest rates (how bizarre to have to pay someone to look after your money) to ensure competitiveness for their exports whereas Japan has had mega-low interest rates for as long as this FXPIG can remember! This has become the accepted method of staving off deflation although President Trump calls it currency manipulation. The Netherlands goes to the polls on Wednesday in a general election that would normally be expected to be a yawnfest. The Dutch have a propensity for never changing their allegiance from the cradle to the grave, and there are more than twenty parties canvassing for votes. This time, however, we could see a continuation of populist/nationalist sentiment that has driven both Brexit and Trump. Add to this the antipathy between the Prime Minister, Mark Rutte and his closest rival Right Winger Geert Wilders, and it could get very interesting. Added spice to this is the ban placed by Rutte on the Turkish Foreign Minister addressing a rally in Rotterdam which drew a remark that “the Dutch are Nazi remnants” from Turkish President Tayyip Erdogan. The row has escalated with the Turkish Family and Social Policies Minister being turned away at the Dutch border as a “persona non grata.”The picture of the global economy will be a little clearer at the end of this week, but black swans are always lurking!